Fairview Kindergarten. Click to enlarge. 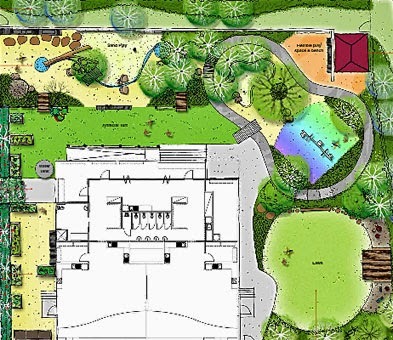 THE Education Department is seeking expressions of interest from contemporary artists to create a series of fun and engaging sculptures to be installed at kindergartens in New Norfolk, Dodges Ferry and Howrah. The New Norfolk location is the new $800,000 kindergarten being built in the grounds at Fairview Primary School. The commission has a budget of $12,810 plus GST for each site, and applications close on October 1. Artists are invited to submit proposals for "general exterior interactive artworks which will be engaging and fun for the kindergarten children." They must be suitable for outdoor locations and have a lifespan of at least five years. Building works are under way at Fairview and are expected to be completed by mid-November. The brief says that as the western side of the new building features a high retaining wall, sensory or interactive artwork on the wall could help to add interest bring interest to what could otherwise be a bland structure. "There are also numerous other opportunities for artistic elements within the exterior areas including but not limited to screening and furniture designs," the brief says. More information is available at the Tasmanian Government's arts@work website.